So many people always asked me how do I usually pick my dress, first we got to know our body shape. I know I looked the best in flare dress. So this coming autumn/winter collection out in the store, what should I pick? I got to consider the weather that we have in Malaysia which is summer all year long with lots of rain at year end! 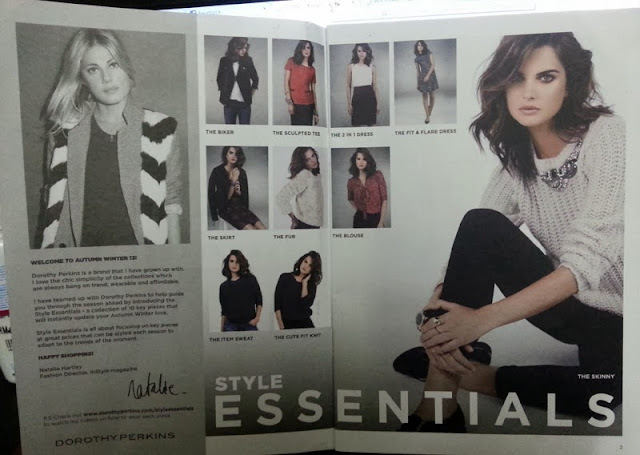 This time around Dorothy Perkins has collaborated with Ms. Natalie Hartley who is the Fashion Director in InStyle Magazine in UK to introduce the "Style Essentials" for this autumn/winter 2013. According to Ms. Natalie's fashion tips, she said this type of dress is Dorothy Perkin's signature, where it is perfect for most body shape, where we can wear with pumps for day or heels at night! And yes I do love flare dress and it is a must have in all girl's wardrobe! For my day look on weekends, I pair it with my wedges & a sling bag and was ready to catch up lunch with my friends & shopping! 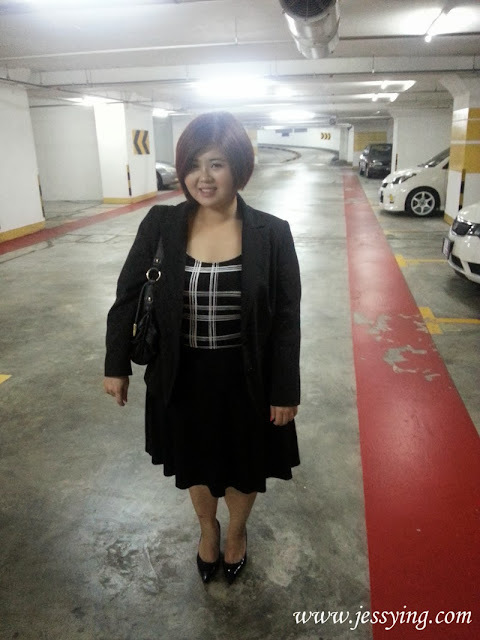 I wore this to one of the important meeting I attended few weeks ago where I need to look professional. I matched it with black Coat, black pump & black tote bag to complete the look. Don't you think this dress looked like a cheat 2 pieces here? After that I went to the Dorothy Perkins store to check out the remaining of the A/W collections & I did followed Natalie's fashion tip! Check playsuit with black shorts and collar detail inside leg is really cute right! I was thinking whether I should get this or not. Should I get this ? This Ivory lace top 2 in 1 dress is love in first sight, one can never go wrong with white or black, especially if it's lace. I love it's simplicity and immediately bought this when I tried it! Dorothy Perkins Blush lace shift dress is a full lace dress with collar. Petite collared shift dress in animal print shift with a contrasting black collar. Dorothy Perkins Blush embellished 2 in 1 dress with black pencil skirt. The left one has really nice details on the top while the left comes in full black gave an illusion of slimmer figure. 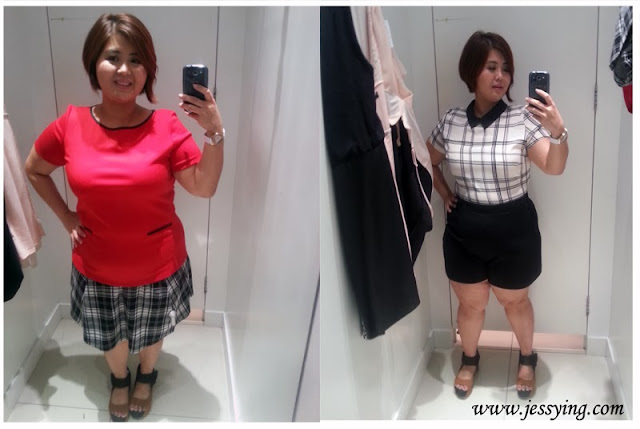 Both below cutting is really body hugging especially the right one because its leather material and does not flatter my shape.. I would think it would look nice for people that has smaller bottom. 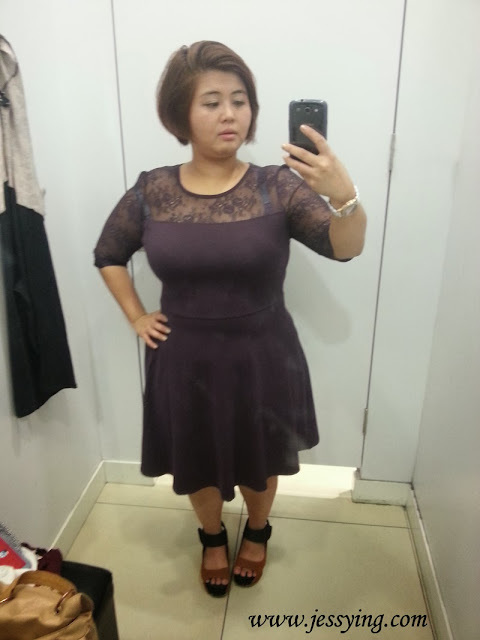 I also bought this Plum 1/2 sleeve mesh top dress, love this colour! 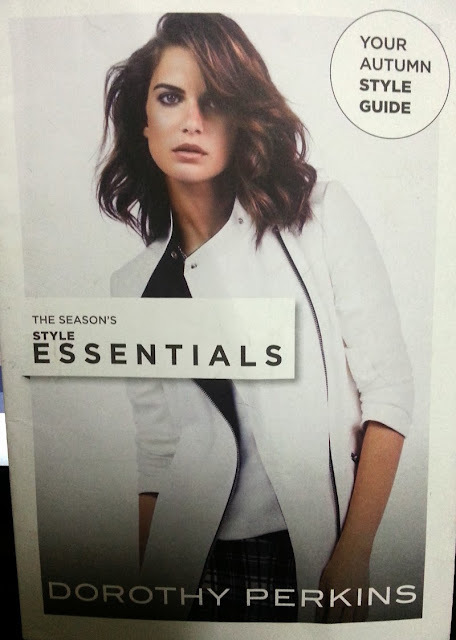 So now tell me what is your essential pick this season ? the white dress with black mesh on top one is nice (first photo). and the leopard print dress in first photo too. I almost want to buy the white dress with black mesh on top, but too long for me and lazy to send for tailor to alter :P Still thinking if to get leopard print dress ... i got a few at home already! And the checked one they sent u....gorgeous! Great pictures, what fun to try all of those cute pictures! Great choice buying the ivory lace 2 in 1 dress as I would have bought that straight away too!! i think checked dress look beautiful on you!! The skater dress looks amazing on you! DP always has lovely, elegant pieces! The Skater dress looks amazing on you! Wow so pretty!!! 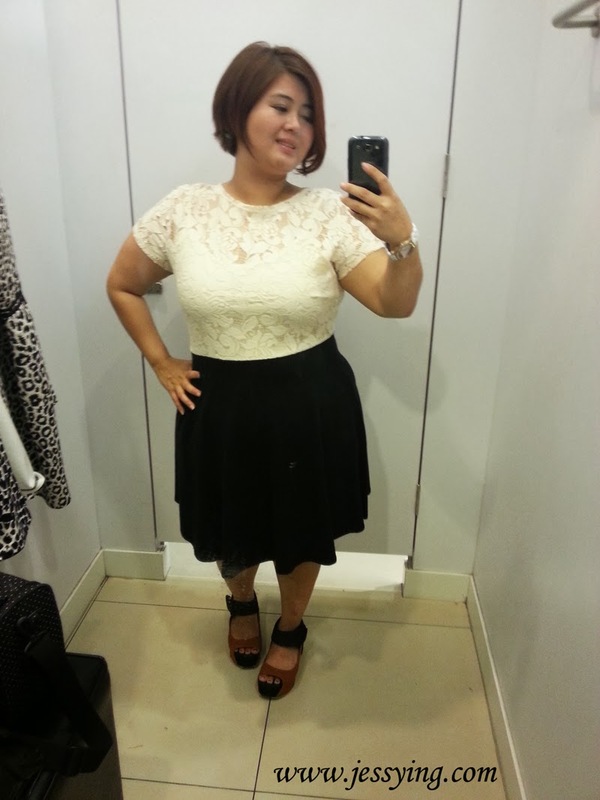 Couldn't wear dorothy perkins :( Too big for me. All of the dresses look great on you. 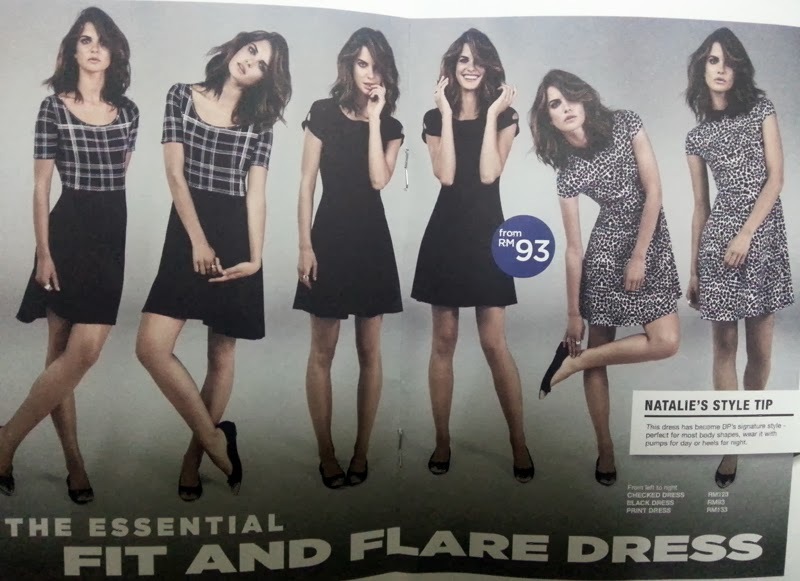 The fit and flare dress style is great! I love the fit and flare dress style! 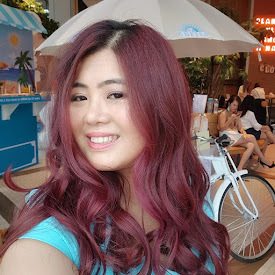 Love your look - its really sweet. Some lovely pieces in this collection. A lot to pick from. 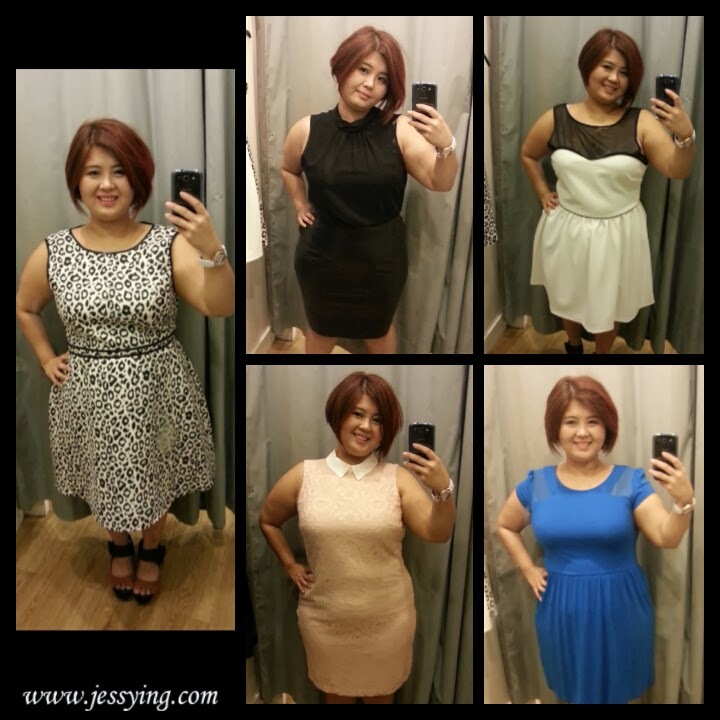 The black/white 2 in 1 dress looks good! oh my !! those are lovely dresses!! you're so lucky to receive a dress from them! my face was the red dress with animal print collar! Came here to see ur wedges hahaha! !